Two rectangular wings make up this virtually airtight New Zealand house. The house is raised 700mm above the ground with 20 square metres of storage space under the deck. Owners Nathan and Yuki coppice on-site trees for firewood. A New Zealand home inspired by Japanese architecture and passive design principles seeks to cross cultural borders. 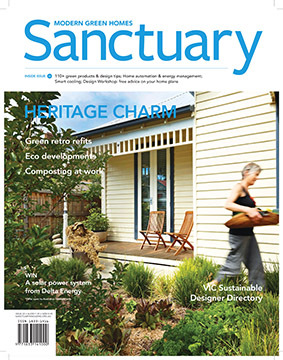 Fusing their New Zealand and Japanese heritage with their commitment to sustainable living, New Zealand designer Nathan Edmondston and his wife Yuki Fukuda are finally living in a home that reflects who they are. The couple spent three weeks researching architecture and garden design in Japan. Nathan and his colleagues at MOAA Architects then set to work integrating Japanese influences into the house’s design. The result is a neat three-bedroom home that replicates traditional Japanese timber and tatami mat homes. “It’s amazing to be able to live in a house with a Japanese touch while living in New Zealand,” says Yuki. The house is comprised of two parallel rectangular wings. An open plan kitchen, living and tatami-mat dining area, an entry and toilet make up the first wing while in the second there are three bedrooms and a bathroom. A large northeast facing deck extends the main living and dining wing out into the garden. A small study – a bathroom and laundry tucked inbehind – connects the two wings. With the tatami mats down, the raised dining (or sleeping) area is distinctly Japanese, albeit with the hidden practical twist of 10 square metres of storage space beneath. 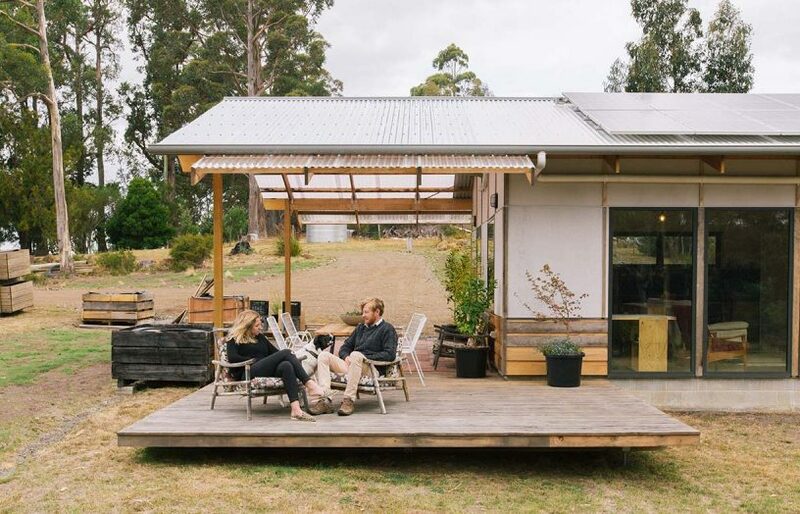 The Japanese use space wisely, Nathan says, adding that although their house is a modest 133 square metres it would be considered luxurious in Japan. Hidden storage is built into other parts of the house, too. Under the deck there is 20 square metres of storage space for wood, Nathan and Yuki’s main source of fuel. 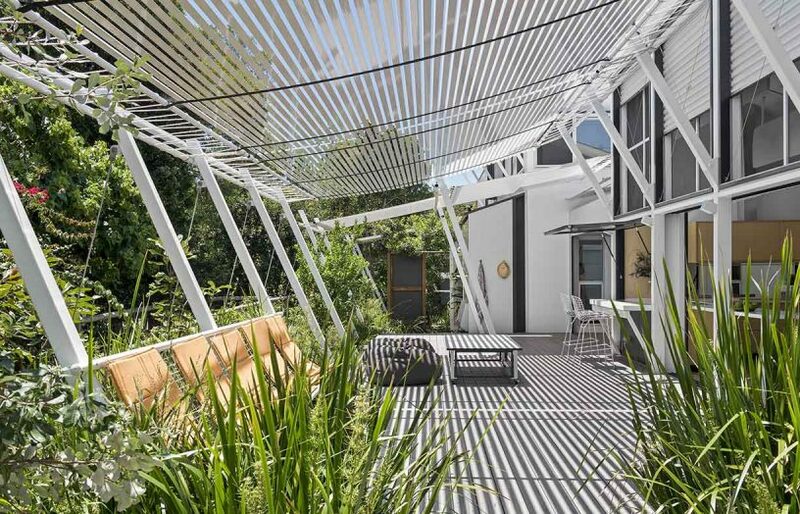 (Left) A large northeast-facing deck extends the main living/dining wing into the garden. The deck looks out to a mature stand of native trees. 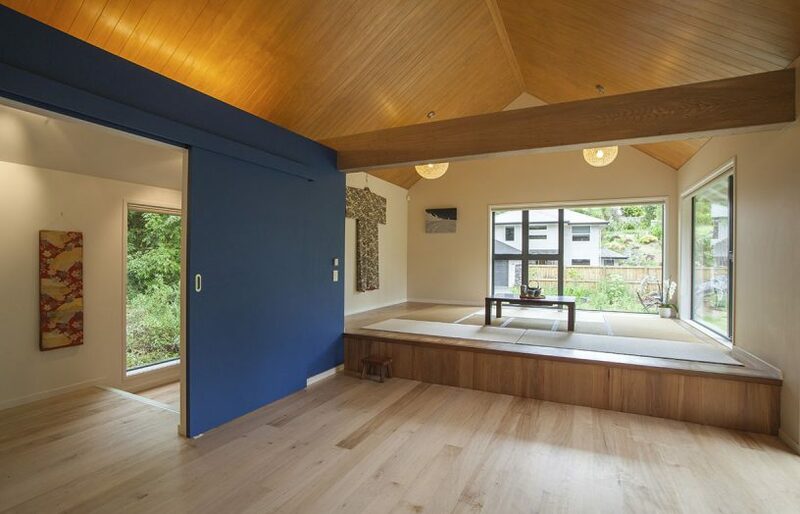 (Right) A tatami mat area sits at the end of the open plan living, kitchen and dining room. 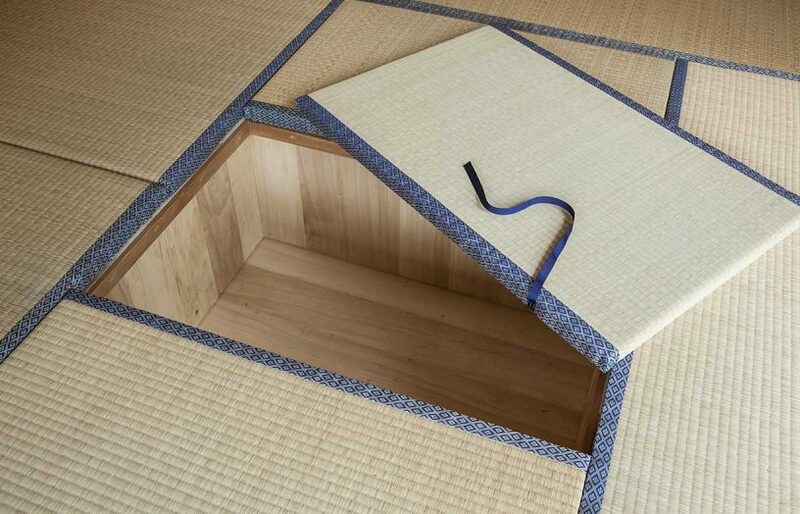 The grass tatami mats help control moisture levels in the dining area and hide inbuilt sunken storage boxes beneath. 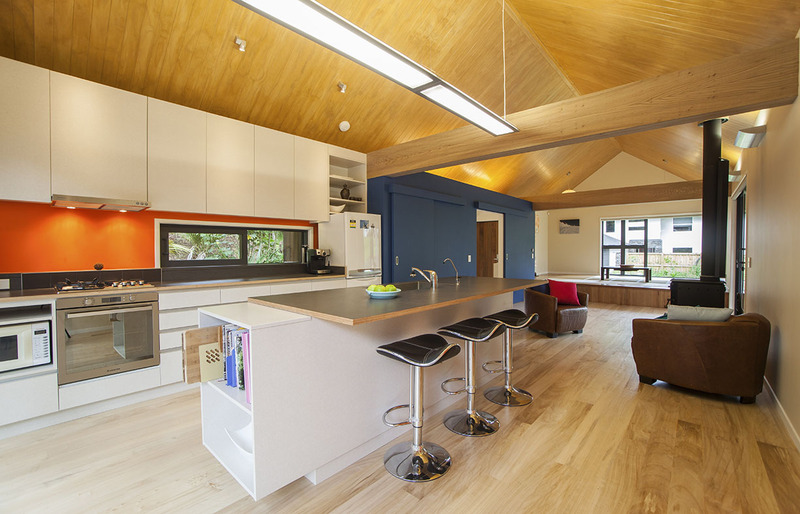 With its natural timber ceiling and floors contrasting pleasantly with brightly coloured walls and contemplative spaces, Yuki and Nathan’s house wasn’t only designed to be aesthetically pleasing. It’s also a highly sustainable and virtually airtight home. 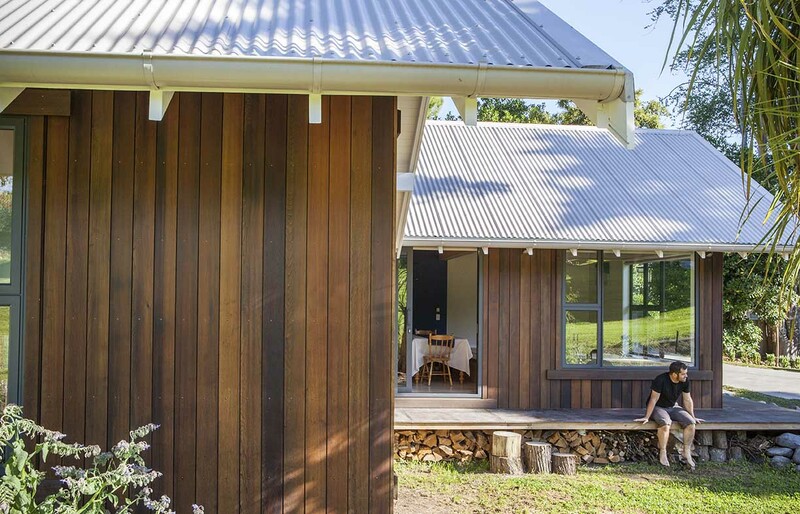 There aren’t many sustainable houses built in the Waikato region so the firm took the opportunity to set an example, says Nathan. It was a steep learning curve to design, detail and build an airtight timber dwelling and involved working closely with planners and contractors, not to mention continual monitoring of and improvements to the house since its completion. “Education is the first stage of changing our current built environment, but even more important is clever execution in the New Zealand context,” adds Nathan. As a result, monitoring water and energy use have been essential to the project. 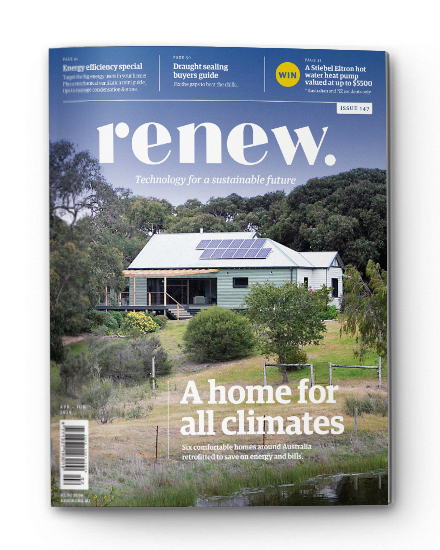 “We can all say we design ‘eco-friendly’ homes and we are able to run computer simulation software that says they are ‘eco-friendly’ but that is often where we stop,” says Nathan. Since moving in, he and Yuki have reduced their water use to 80 to 90 litres per person per day. A temperature and humidity monitoring system has also been installed to solidify their claim that the house is warm in winter and cool in summer. Locally harvested and recycled timbers were used for the flooring while the ceiling is clad with FSC certified Ecoply. Low VOC finishes are used throughout. There is more to Nathan and Yuki’s respect for timber than its use as a construction material. 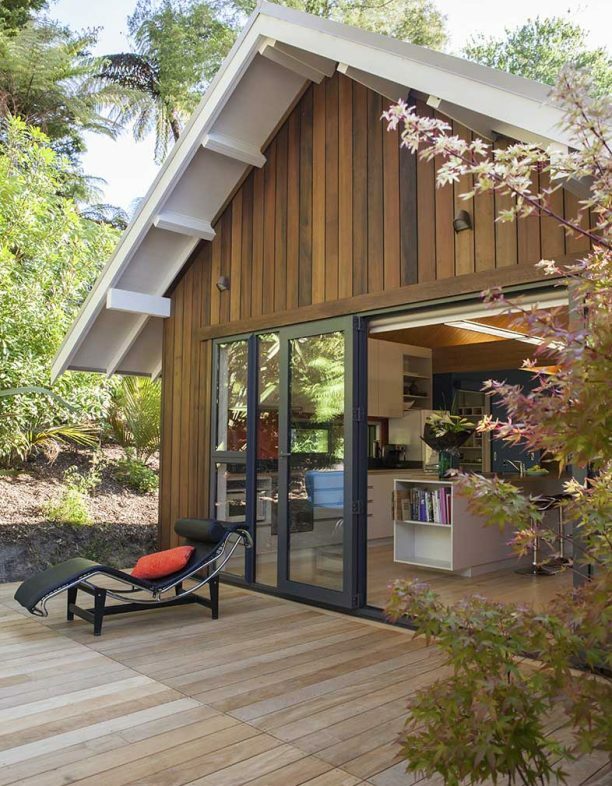 Despite the challenge it posed to maximising the home’s passive performance, only one mature Totara tree on the northwestern side of the site was removed from the heavily treed site to allow enough space for the house. A few smaller trees were also removed to improve the solar hot water system’s performance. “We’ve used trees to build our house, warm our house and cook food. So we appreciate what trees are providing us and we are trying to give back and respect them as much as we can. We are not trying to live sustainably so that nature can look after us better – we are doing this because it feels right to be a part of nature,” explains Yuki. 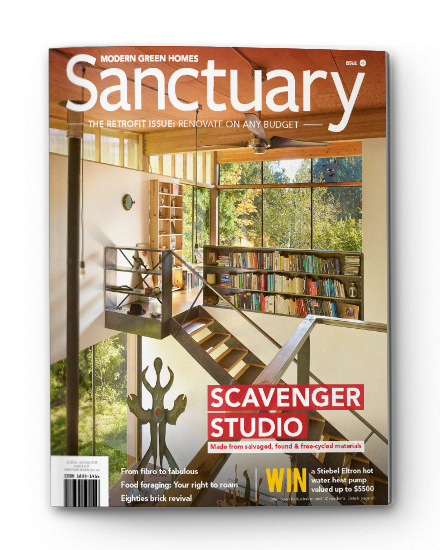 Sustainable design is a high-profile feature of Nathan and Yuki’s house; but perhaps at the heart of this home’s success is its personality. 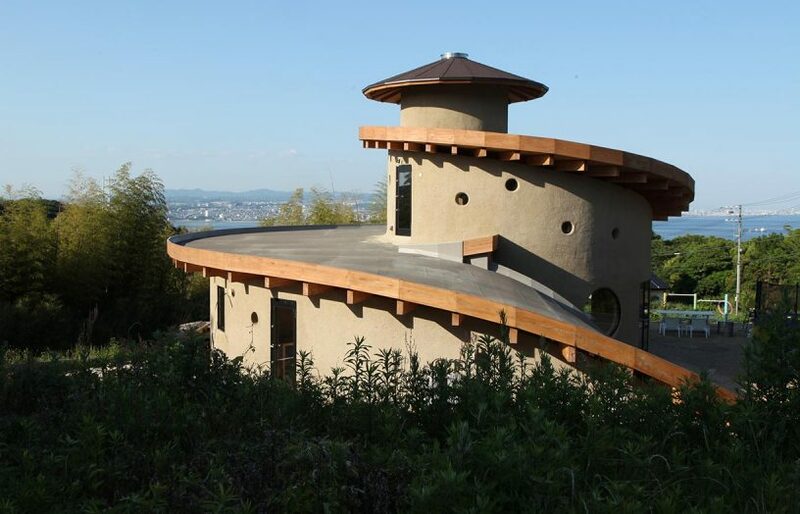 It’s a home that spans nations, reflecting and embracing Nathan and Yuki’s distinct cultural heritage; it is also very much a response to its local environment and the needs of the couple it shelters.